Una McCormack, probably my favourite of the current crop of Star Trek authors, returns to Cardassia for this excellent and deliciously Cardassian tale. Doctor Pulaski is visiting Cardassia to receive an award, but events start to unfold in interesting ways as Garak moves toward retribution for the crimes his people committed during the occupation of Bajor, and new details about those crimes start to come to light. I can hardly believe how complex this story is, weaving in threads from across DS9 and earlier novels with the richness of Cardassian society. Both drawing on previous adventures and doing some worldbuilding of her own, McCormack paints an amazing picture of a world growing form its past. I love some of the clever symbolism that weaves in around flowers, art and literature, particularly the focus on the enigma tales, and how these reflect back into the plot. I also loved the setting in a Cardassian university, clearly something the author is well aware of herself, and this really comes across as something there's a deep understanding and appreciation of. The presentation is good too. The chapters are long, and interspersed with letters written by Garak, which serve to develop both character and, subtly, plot. The tone is quite casual in places (especially the start) which gives another feeling of Cardassia, as it's reminiscent of Garak's storytelling in the TV series. In case it's not clear, I think this book is great, and I hope for many many more from McCormack. I would strongly recommend reading David Mack's novel 'Control' first though, as one of the plot strands here follows on directly from that novel. Finally! 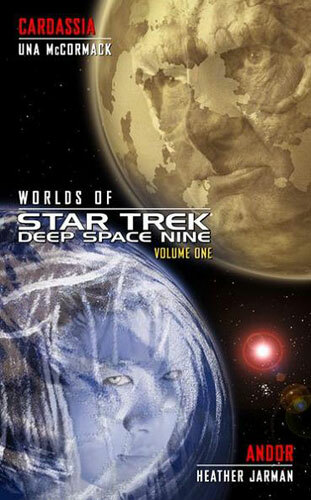 A new DS9 novel! But is it? We're well into the second DS9 relaunch by now, and there's a big continuity gap sitting in the wings waiting to be filled in between the two. 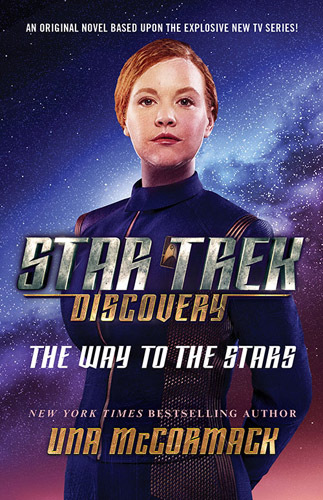 This story really focuses on three known characters, all of them based in or around DS9, but really Ro, Crusher and Pulaski are all Next Generation characters. The story is about separation from family, a theme which fits really nicely with the selection of characters that McCormack has pulled together, and the numerous plot strands that weave together here. It's also about strong female characters, though I only realised that a few days after is finished reading it. I'm not sure if that says more about the author's subtlety or my own blindness to such factors, and if the latter whether that's a positive thing or a negative. So I must admit that I was a little disappointed that it wasn't a bit more DS9 focused, and that the plot was really a gathering of multiple parallel strands rather than a single main narrative. However Isis enjoy the visit to the station and find McCormack to be one of the best writers of real character in Trek. I look forward to more from the series, from the author, and more Cardassians please! 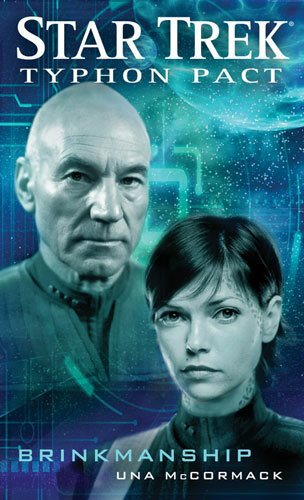 The second book in The Fall, the latest 24th Century Star Trek mini-series, runs for the most part concurrently with the first book, 'Revelation and Dust'. It follows Garak, Cardassian ambassador to the Federation, as he heads back to his home planet for the ceremonial signing of a treaty. This is a very different story from the previous novel, much more about the politics and intrigue on Cardassia, and diplomacy between the various powers, whereas the the first book was much more action oriented. I found it interesting and enjoyable that the style differs so much between the two books, something that I've noticed a lot more recently in Star Trek novels than when I first started reading them in the late 90s - a welcome addition. McCormack's novel reflects events in the real world masterfully, and has made me think more than anything else I've read for a long time, and yet as well as this she fills the tale with humour and 'easter eggs', many of which I expect I missed. I found reading this that I wanted to pause between chapters to digest what I'd read, rather than rush ahead, although this plan went out the window as I got to the second half and couldn't stop reading. Her handle on Garak and other Cardassians is as strong as always and I've really enjoyed what she's done with them and their culture in this story. An excellent novel, and a great continuation of the series - I look forward to the rest keeping this standard up. 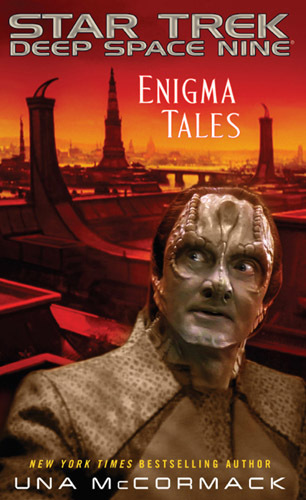 Following on from the second-season Deep Space Nine episode 'Cardassians', Una McCormack's tale follows the life of Rugal, a Cardassian teenager brought up by Bajorans but sent back to live with his biological father. 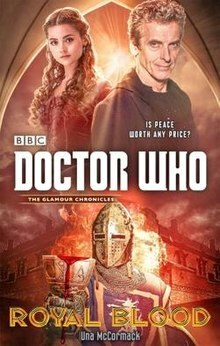 It's a different take on a civilization that was not explored in as much detail as it could have been on television, and gives an interesting alternative perspective on the events of the TV series. The narrative moves at an excellent pace, easily keeping things in line with the main DS9 storyline throughout, and presents an interesting study of the character and how he grows. McCormack has an excellent grip on her ward and the various other well known characters that appear. Her Cardassia deserves to be the definitive one and she adds layers of texture to the culture that enrich it beyond anything I've read elsewhere. There are parallels with twenty-first century Earth in the narrative, as well as moments of humour that had me tittering as I read on my commute. 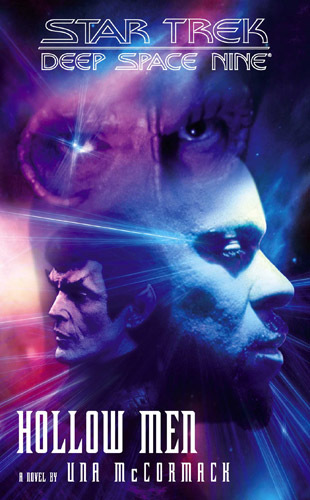 It's a perfect example of what Star Trek should be, and I've really enjoyed reading it - why I've waited so long since it was published I don't know. It's surprising, shocking, tender and revealing. 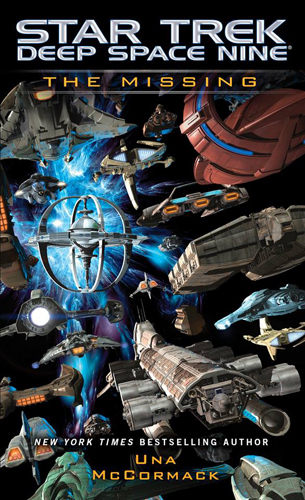 A must read for DS9 fans. The eighth story in the Typhon Pact arc, set several years past Star Trek Nemesis, focuses on the Tzenkethi, and their relationships with the Federation and its allies, as well as the Venette Convention, a non-aligned peaceful group whose home lies between the major powers'. The plot follows three strands and focusses on diplomacy and exploring the alien cultures in more detail. 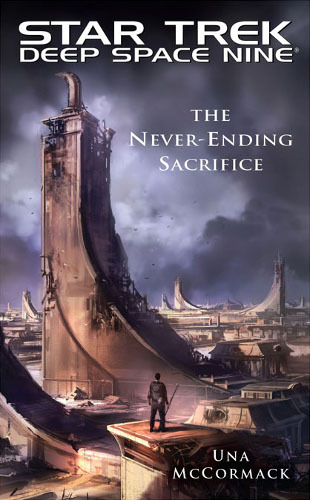 My favourite parts of the novel are those set on Ab-Tzenketh itself as we explore their culture in more depth than ever before and it is revealed to be far more fascinating than I had imagined. McCormack really excels at world building and this makes the novel far more than just another run-of-the-mill adventure. While it's good too see more of the USS Aventine under Ezri Dax, in places these parts of they story did seem a bit tacked on and I had expected that there might be more of a focus on this crew than the novel actually included. Despite the cover image, the Enterprise portion of the plot is told mainly from the point of view of Doctor Crusher, which is a refreshing change as she has had comparatively little page-time recently. Writing this, I've only just noticed that this makes all the main characters of this novel females, which is also an interesting difference to the norm. Although I sped through reading it in study two days, this is another excellent Trek novel. I'm really enjoying the way they are going at the moment and hope this can continue. 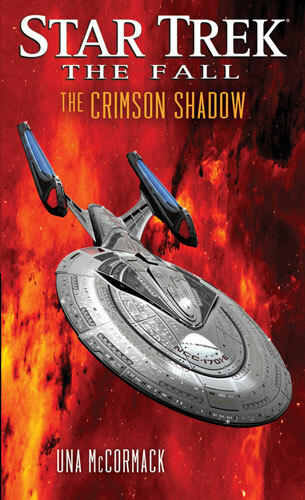 I also look forward to reading more from Una McCormack who has fast become one of my favourite Trek authors.